The City of Tomar in Portugal organizes a good number of cultural events every year and many shops in the town join forces to promote those events. So while I was taking photos of the city I came upon decorated show windows with items related to those special occasions. 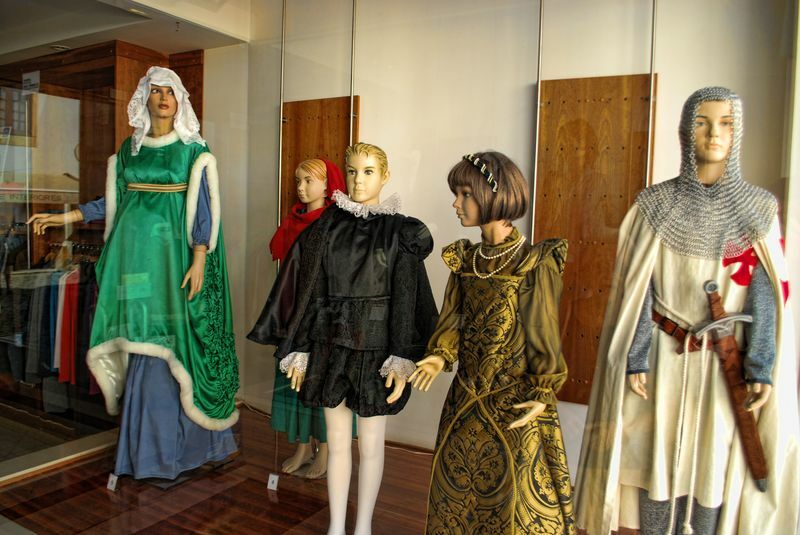 The first photo show mannequins dressed with costumes of historical Portuguese personalities. This was a promotion of the Festival of Human Statues (Festival de Estátuas Vivas). 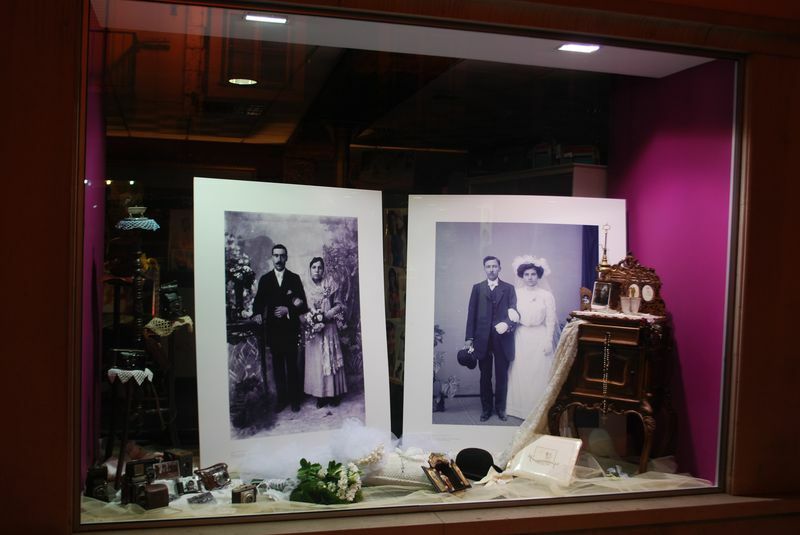 The second window belongs to a photography shop and show us photos of weddings from the beginning of the 20th century. The third photo present us with a very old sewing machine, probably from the 19th century. 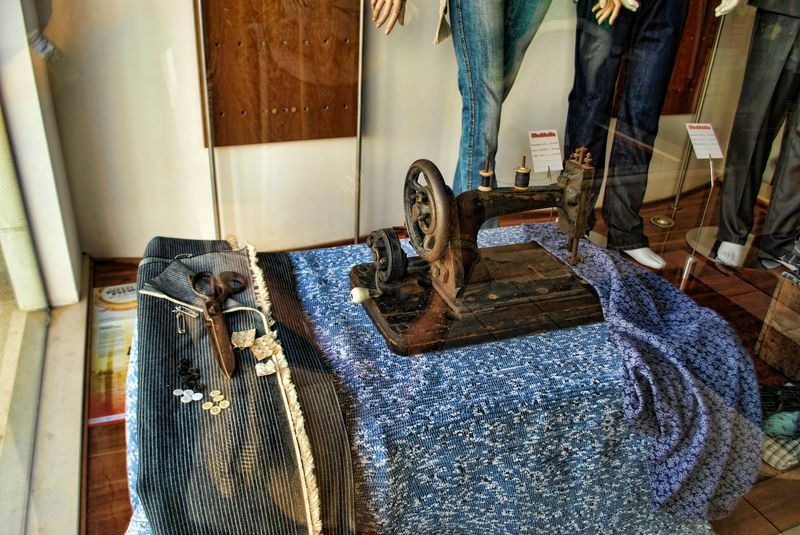 All these three show windows are from shops situated at Corredoura (Rua Serpa Pinto).